December 31, 2018: New Year’s 2019 info click here! 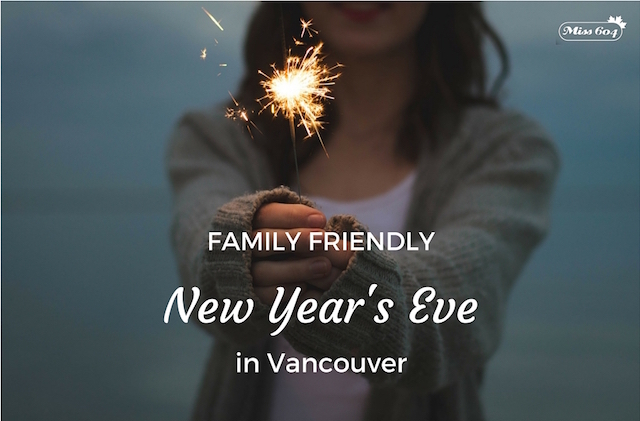 Ring in the new year with your loved ones with these family friends New Year’s Eve events and attractions happening around Metro Vancouver. *Some of these events are ticketed and may sell out, so be sure to act fast and book as soon as possible. A free outdoor festival with ticketed VIP upgrades. Enjoy entertainment on the 102.7 THE PEAK Main Stage, YVR World Stage, Coast Capital Savings Stage, JR-FM Party Stage, and in the RE/MAX Family Zone where there will be a Kids Can Dance Party followed by a balloon drop prior to the fireworks. Family fireworks countdown will be at 9:00pm, and a NYE fireworks countdown will follow at midnight. On top of Grouse’s NYE Snowshoe Fondue and their NYE Gala, their Family Friendly New Year’s Eve will be packed with fun for everyone. Glide on the 8,000-square foot mountaintop Skate Pond, take a sled down our Sliding Zone and be awed by the magical outdoor Light Walk around Blue Grouse Lake. Enjoy performances throughout the night as well as a special 9:00pm countdown with fireworks. Mt. Seymour’s legendary Family First Night returns this year with laser tobogganing, snoeshoeing, s’mores, a Snowquest Scavenger Hunt, live entertainment, party favours, face painting and crafts, food vendors, shuttle service, fireworks and more. Free skating and live music from Rumba Calzada. The ice rink will be open for skating until 11:00pm on New Year’s Eve. Skate the 20th annual Winter Ice Palace in Cloverdale, open on New Year’s Day as well from 12:00pm to 4:00pm. Celebrate with family and friends at Vancouver Cabaret Theatre’s New Year’s Eve Variety Show, with circus acrobats, magic, live music and one of Vancouver’s biggest balloon drops. Appropriate for all ages, yet not just for kids. $2.00, includes helmet and skate rental. Enjoy ice skating, face painting and crafts to celebrate the New Year. Follow Miss604 on Twitter, Instagram, and Facebook in 2018 for more event listings, community info, and contest giveaways!